This handsome belt buckle is a unisex piece done in nicely aged pewter with enamel accents. 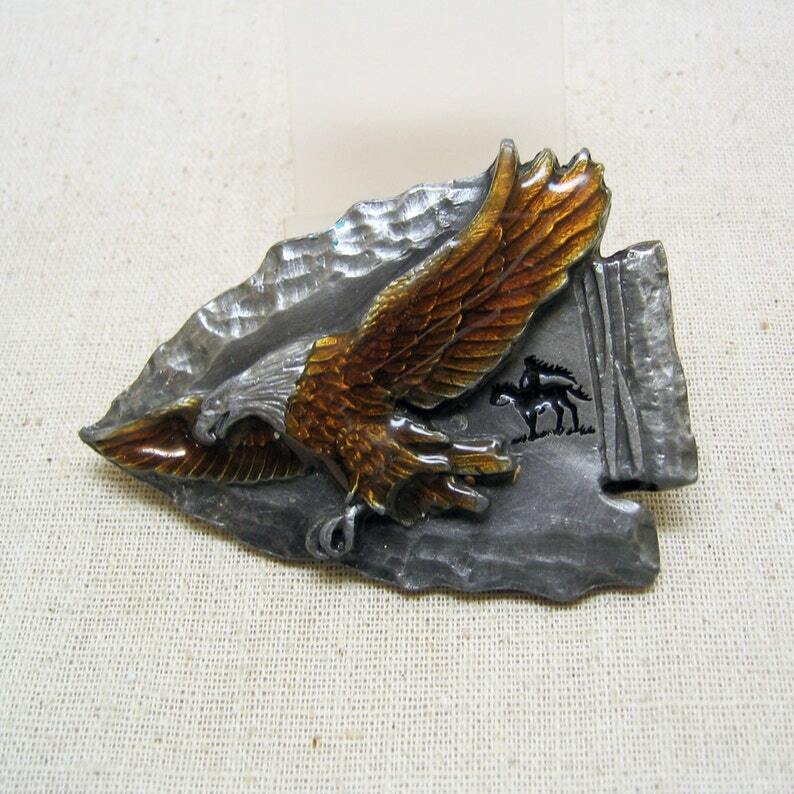 The buckle is shaped like an arrowhead and there is a Native American silhouette behind the enamel eagle. On the back is the Siskiyou Buckle logo, and the date of 1988, . There is also a legend that dedicates this buckle to the spirit the Native American. The buckle is in MINT, never used condition . It measures 2 1/4ths inches high by 3 1/6 inches wide. It will support up to a 1 3/4ths inch high belt. This is one gorgeous piece of work. 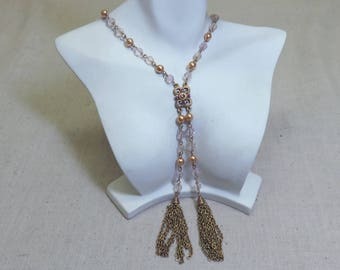 It will come to you in a lovely gift box for easy gift giving. Gift wrapping will be holiday themed unless requested otherwise. Love this buckle and other items I’ve received from PandPF. Great service and presentation. Thank you! Exactly what I wanted! I can't wait to get them sewn on. Excellent transaction. Beautiful! Carefully packed, and fast shipping! We accept payment via direct checkout on Etsy and via Paypal. When you receive your item, if you are not delighted, please email us. We realize that buying on the internet isn't the same as purchasing in person. We will gladly accept returns, However, we must be notified within 72 hours of receipt of the item and you are responsible for insured return postage within 7 days. A full refund of the purchase price less the outbound postage and a 20% restocking fee will be given to you as soon as the item is returned to us in its original condition. Exchanges are not subject to restocking fee. European Union buyers have 14 days to notify me and return their item. Should an item be damaged in shipment, please contact us immediately. We will help you file a claim with the insurance company. Unfortunately, due to the increased incidence of mailbox theft, if items are shown as delivered by the post office, we are not held liable for the package. If you feel that your mailbox is not secure, we will be glad to send your package with signature confirmation. For European Union members, you have 14 days to return your item. After that time, it is considered accepted. Most items are gift boxed and are sent via First Class Insured Postage with delivery confirmation. Should you need priority mail or overnight delivery, we will be glad to quote a price for you. On overseas shipments, all duties and foreign taxes are the responsibility of the buyer. VAT IS NOT INCLUDED. We are glad to add gift wrapping and personal notes to your purchase if you are sending a gift to someone. Just let us know. SPECIAL NOTE TO EUROPEAN UNION MEMBERS!!!!!!!!!!!! ETSY HAS CHANGED THE WORDING ON OUR LISTINGS WHICH IMPLIES THAT ALL TAXES AND DUTIES ARE INCLUDED. UNFORTUNATELY, THIS IS NOT THE CASE. I have no way to remit taxes and fees to your country. YOU WILL BE LIABLE FOR ANY AND ALL FEES DUE ON YOUR PURCHASE.